As you know millions are spent each year on Internet advertising and while there are various aspects to a successful web site and online promotion the often most overlooked but most effective means of online promotion is the search engines, and search engine optimisation is what we do best. Don’t forget you can get my ‘sales and marketing top tips’ by using the box below. Your small business probably gets a few hundred calls every year with people offering all kinds of deals around search engine optimisation and most of it is complete rubbish. I have always described ‘Search Engine Optimisation’ as “the Emperor’s New Clothes”. Quite simply one of those industries that would not survive if small business owners would bother educating themselves. You know there is nothing worse than paying for a website to be developed and then none of your potential customers can find it online. The solution to this problem not easy but it is simple. Once you start to understand how this all works you can certainly deal with the whole thing in house, which is where my work with you on your Search Engine Optimisation (SEO) makes a real difference. Firstly I provide you with a copy of my Search Engine Optimisation guide. Updated over many years it covers nearly all you need to know and then I get on with making your website sing to the engines. I’ll be honest with you, most search engine specialists talk out of their backsides. All Google wants is great content submitted in accordance with their guidelines and with some little add ons to make it easy for them. Your content needs to be structured, updated and relevant for your potential customer and be compliant with the rules. Big issue for most small firms is resourcing this and finding someone who will tell you the truth. Do I know what I’m doing – well you can find me at the top of some 11,000,000 results. Of course as the search engines change the algorithms my results fluctuate, you and I can do nothing about that – but we can choose to play the same game with them and accept that sometimes we won’t always have ‘top spot’. Access to trends and guidance. Search engine optimisation is not a game you should be playing, more of an education that you should have. Spending some time and money being ‘googleable’ is something that will be good for your business in terms of your bottom line and for your health and well being. Quite simply knowing how to do stuff improves everything. Importantly for you, there are no long term contracts. No ‘sorry it didn’t work but no refund.No excuses. Honest and practical help and guides to solve your search engine optimisation issues along with a hand to hold yours. Below are some sample packages and prices. With all of these payments can of course be spread over 2 or 3 months. All of these services are done with you and will last for as long as you need, are paid via direct debit which puts you firmly in control. There are no long term contracts, no hidden print and no surprises. 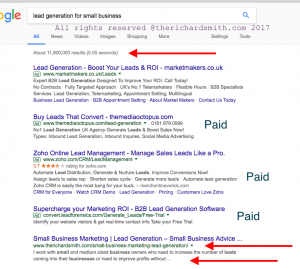 Search Engine Optimisation report (currently free https://www.therichardsmith.com/shop/page/3/) and a complete money back guarantee. * Competitive review and analysis of your main pages and keywords to determine the best search terms for your site. * Recommendation and implementation of proper tags, page title, description and keywords. * Summary of analysis and implementation steps. * Competitive review and analysis of up to 4 additional pages on your site. * Keyword recommendations based on how your customers would search for your site. * Keyword and positioning report to show where you are currently listed on the search engines as well as who your top competitors are. * Personalized analysis of site deficiencies that are causing you to lose visitors and sales. This includes navigation review, misleading or unfocused page text, improper layout and more. * Upload of optimized code directly to your web server! * Competitive review and analysis of additional pages on your website. * Additional site review focused on sales and marketing strategy and goals. * Home page text rewrite by a web marketing professional that will focus your customer’s attention on buying your products or services! * Upload of optimised code directly to your web server! * Implement optimization requirements for Google, Yahoo, Bing, Dog Pile. * Conference call to review and explain suggested optimization changes and the importance of fully complying with all the suggested changes for the best results. *Campaign includes up to 12 hours of labour and will optimize all necessary web pages for the most effective keyword found during the research phase. In the event additional keywords and/or pages are requested to be optimized in the initial kick off call that exceed labor allocations. All work is charged in advance via direct debit. This fully protects you in that if you are not happy at any time just ask for a full refund and if I don’t make it within seven days you can take it up with your bank who will provide a refund in accordance with the Direct Debit Guarantee. Can’t be fairer than that. Even if you are not sure now, you can get my irreverant weekly emails via the form below.